Spark is a mini drone that features all of DJI&apos;s signature technologies, allowing you to seize the moment whenever you feel inspired. 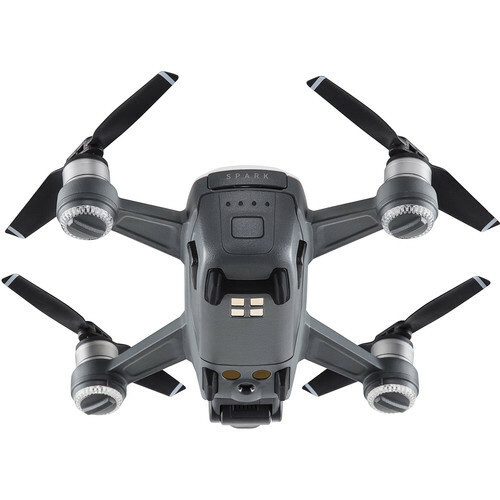 Spark&apos;s 2-axis mechanical gimbal and UltraSmooth technology dramatically reduce shake and rolling shutter effect, keeping shots stable without loss of detail. Spark&apos;s camera features an f/2.6 aperture wide-angle lens with a 25mm-equivalent focal length for a wide (but not distorted) angle of view. Five elements are arranged into a single group that fit into a compressed frame. 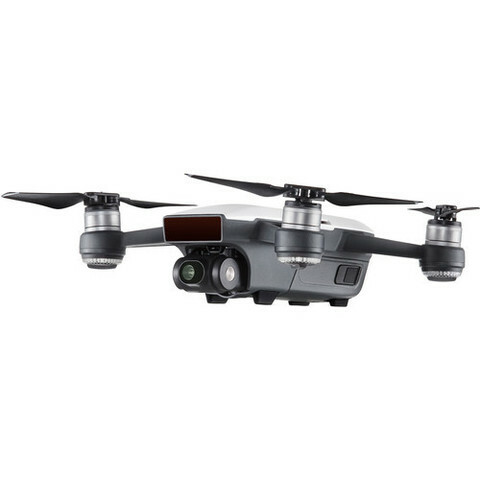 Spark&apos;s FlightAutonomy System features a main camera, vision positioning system (VPS), 3D object sensing, GPS, a high-precision IMU, and a 24-core controller. 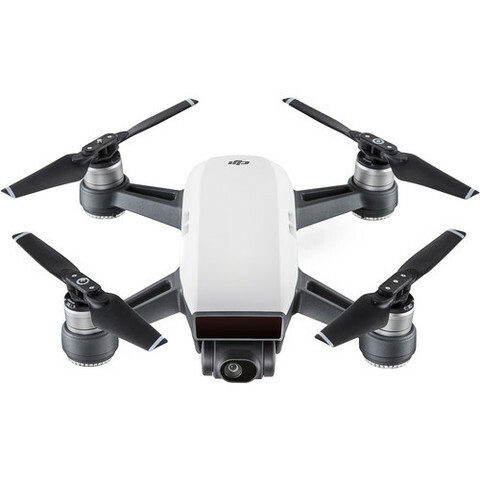 Together these allow Spark to hover accurately anywhere with VPS assistance at up to 98&apos;, sense obstacles from up to 15&apos; away, and land safely. DJI&apos;s GEO system lets you know where drone flights may raise safety or security concerns, such as near airports or stadiums. 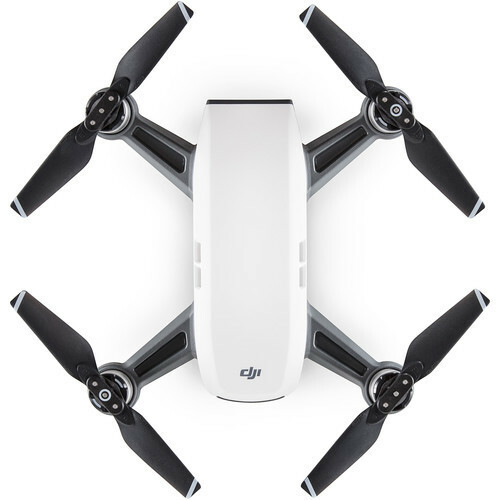 The Spark&apos;s remote controller and Wi-Fi work on both 2.4 GHz and 5.8 GHz range frequencies. This means the system can take advantage of the less-crowded 5.8 GHz part of the spectrum when the 2.4 GHz range is saturated. Spark uses a high-energy-density LiPo flight battery for optimal performance. 12 intelligent protection functions help ensure safe flight. 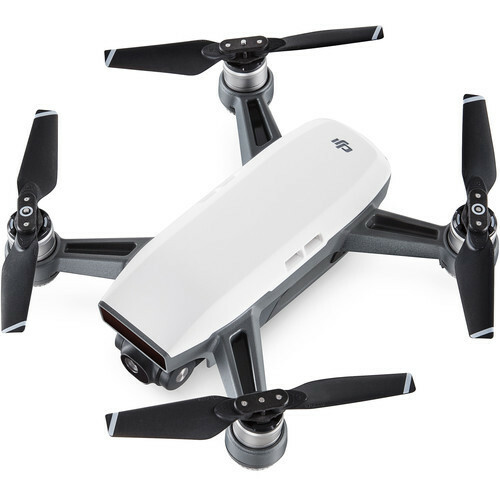 Additionally, Spark&apos;s battery estimates remaining flight time, letting you know when to land in real time.